Our new project explores the yet to come world of bio scents for innovative future materials. Smell directly triggers emotions and memories but is a material property which is often overlooked and we use only a very small portion of our fragrance-detecting capabilities. How to distinguish between natural and synthetic materials? How do future materials smell? During Salone del Mobile 2019 at Alcova Sassetti, crafting plastics! 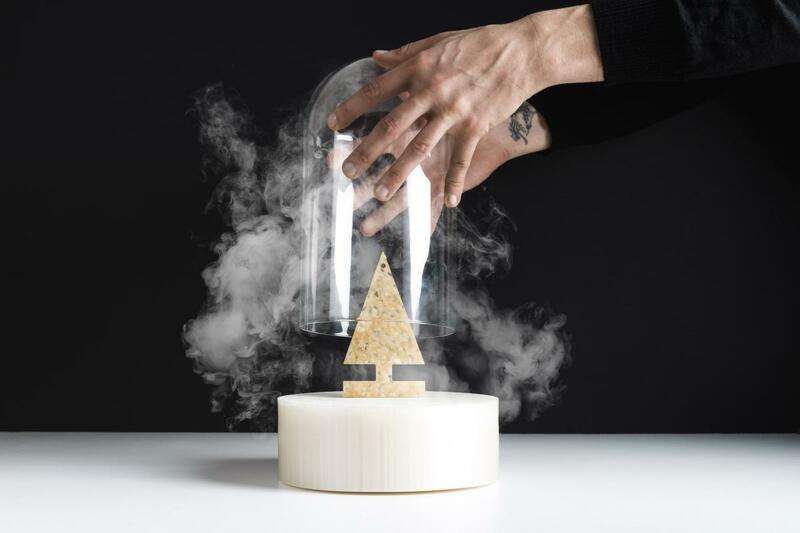 studio & Studio Moritz Maria Karl will present their research on the scent of the bioplastic material to create spaces, experiences and demonstrate how much future materials can contribute to our health and perception of materials. Smell offers new aesthetics and opportunities for designing architecture and objects. The installation investigates the emotional connection to different scents as a conscious response to circular economy and next step to transition to fully circular design. The design research is funded by the Fritz und Trude Fortmann-Stiftung für Baukultur und Materialien.